Why not try a different way to explore the beautiful country of Ecuador? 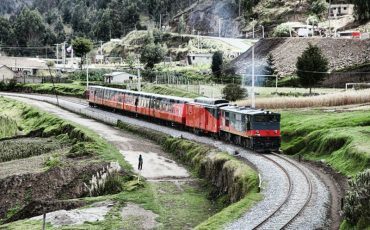 On a four-day tour with the unique Tren Crucero you can travel from Quito in the highlands to Guayaquil on the coast. 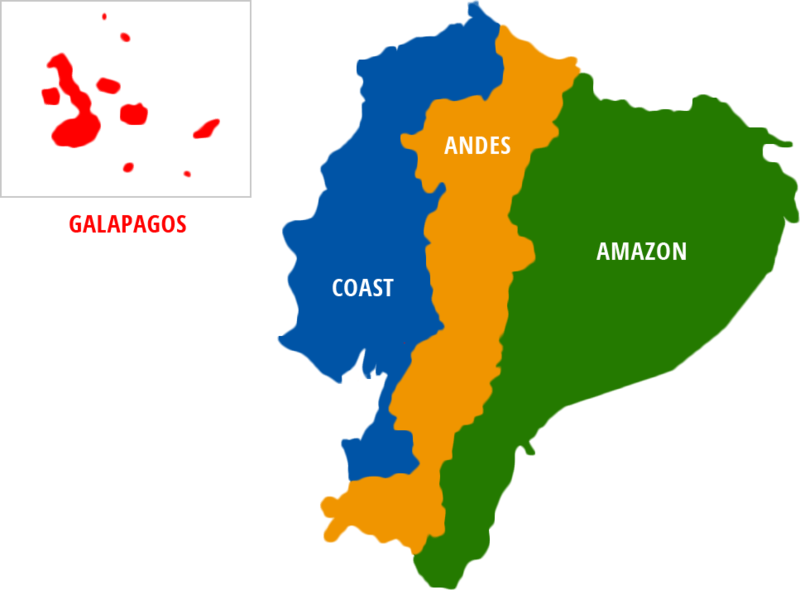 You will cross the amazing Avenue of the Volcanoes and can meet Andean and coastal indigenous communities. The tour is about 280 miles long and takes you from an altitude of about 9,500 ft to sea level. 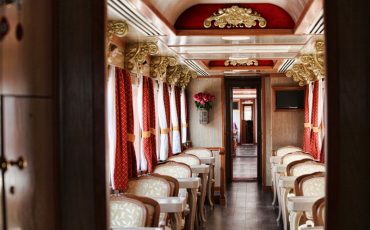 The Tren Crucero offers a unique luxury experience. 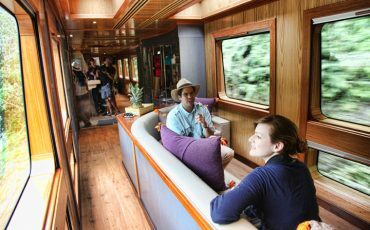 During the day you travel in the wonderfully restored train, and the nights you spend in different hotels and haciendas. 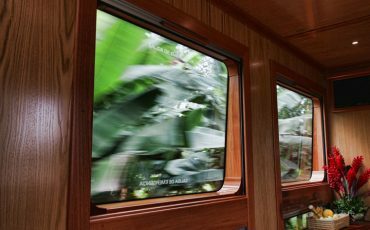 It’s also possible to travel the other way, from Guayaquil to Quito, on the Tren Crucero. The journey begins at the Chimbacalle station, south of Quito, a historic station that is considered one of Quito’s 7 Cultural Material Patrimonial treasures. With the train you will cross the impressive “Avenue of the Volcanoes” and arrive at the second highest station of the Ecuadorian railway system whrer you will visit a flower farm. There, you will learn why Ecuador gathers all the right characteristics to produce some of the best roses in the world. You continue the journey to the hacienda San Agustín del Callo where you have lunch and learn about the history of the place that combines vestiges of Ican, colonial and republican architecture. Afterwards you will go up to the Cotopaxi National Park with a touristic bus. Within the park you can enjoy a moderate altitude walk at 12,631 feet around the Limpiopungo lagoon, where you find different varieties of plants and birds adapted to this altitude environment. 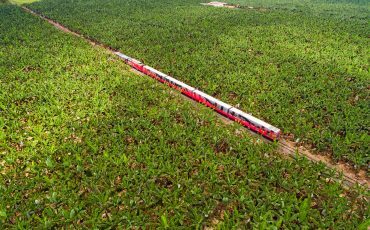 Natural photography will be part of this afternoon before arriving at the historical hacienda. By bus you continue to Latacunga where you will board the train. The next station is the city of Ambato. During the journey you will enjoy the beautiful Andean landscape, the mountains and plantations of typical Andean field crops. You will be approached by colorful devils from Pillaro village, part of a long Andean tradition known as the “Diablada Pillareña”, declared national heritage. You will arrive to Urbina station, the highest point of the visit, located at 3609 meters above sea level (11 000 feet). There you will be received by Baltazar Ushca, the last ice merchant of the Chimborazo who will share the secrets of his old and almost extinct tradition. After midday you arrive to Jatari and the Community of La Moya where you will learn about the Quichua – Puruha culture. After this great day, the train is waiting for you to take you to Riobamba, a unique historical town for the country and for the railroad development in the past. You will spend the night in a tranquil local hacienda with exquisite gastronomy. We are collected from our hotels by coach and return to Riobamba train station. Riobamba is a city surrounded by four active volcanoes and it is known as the “Queen of the Andes”. 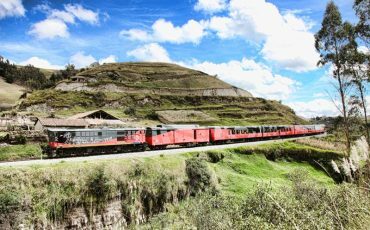 We then board Tren Crucero, pulled by steam locomotive, and travel across stunning Andean landscapes to Colta where we have a short stop to visit Balbanera church, the first landmark Christianity made upon its arrival to these lands. Returning to the train, we then depart to Guamote and explore its famous indigenous market. This is one of the last authentic markets in the Ecuadorian Andes and a traditional lunch will be served at the station. 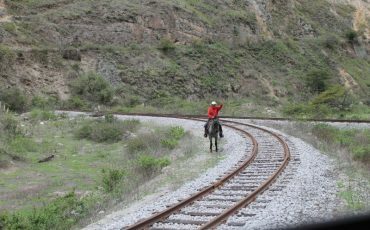 In the afternoon, we depart by train to Alausí train station travelling across fascination natural geological formations. Once there, we will start our descent by train down to the famous Devil’s Nose where the train has to perform zigzag maneuvers in order to descent 200 meters of altitude whilst travelling across 3 kilometers of rail. We then make a short stop at a viewpoint to observe and photograph this magnificent engineering achievement that is known as the most difficult railway project in the world. 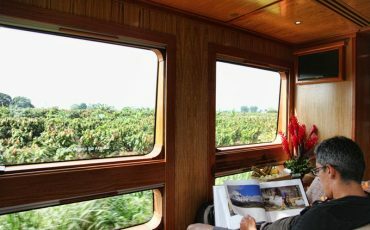 We continue by train to Huigra, a small village located between the Andes and the coast lands with a pleasant climate and travel then forward along the dramatic Chanchan riverbed down to Bucay Station. On the way, we witness the transition from the Andes to the Ecuadorian coastal plain with its rich soil and lush vegetation. Once in Bucay, we go by coach to El Limonar, to visit the Shuar community. The Shuar migrated here some 70 years ago travelling from the Amazon basin to the coast and they will share with us their ancestral customs and traditions. We then continue by coach to San Rafael Ranch for lunch and a short visit to a commercial cacao plantation, after we will return to Bucay where you will stay for the night in the Hostería D’Franco. We will take our bus with the first sun rays and that one will take us in the direction of Huigra from the imposing Andes to the quiet esplanades of the Pacific coast. In Huigra you will get to know the former train company. You will arrive at the traditional hacienda La Danesa in the Coast region of Ecuador and will take a tour inside one of the plantations and learn about the sowing and harvesting of Ecuadorian cacao, which is considered the best cocoa bean in the world. Lunch will be served at the hacienda and you will enjoy the gastronomy of local cuisine. Our next destination will be Naranjito where we will board the train to Yaguachi, the first station built for the Ecuadorian railway system. 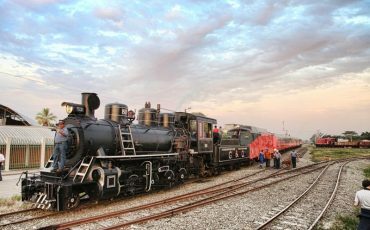 There, a Baldwin steam locomotive awaits you to lead the train to its final destination on this trip, a journey full of wonderful landscapes and cultural experiences. You arrive to Duran before sunset and from there a bus takes you to your accommodation in Guayaquil.